As of July 31, the 416 Fire is now 100 percent contained thanks to the steadfast and heroic efforts of so many firefighters and incident managers – as well as cooperation from Mother Nature, who has delivered much-needed rain to our region. There is a dark side to the precipitation, though, and many folks have already experienced what we know to be a post-fire consequence: flooding with mud and debris flows. These are frightening and powerful episodes for residents and visitors, and have significant effects on homes, property and businesses. While there is little we can do to prevent the debris flow from the 416 Fire burn scar, we want to be sure the community is aware of the risk as well as the resources available to help in and after future flooding. While the 416 Fire was still actively burning, the San Juan National Forest brought in a Burned Area Emergency Response team to assess the damage the fire caused to various resources on the forest, as well as to articulate projects the Forest Service could tackle to mitigate the damage to the public lands. One of the primary areas the team focused on was the fire’s intensity and how that affected soils over the 54,129 burned acres. Intense fire not only denudes vegetation, it also changes soil composition, making it less able to absorb water. The BAER team’s assessment closely examined the fire’s impacts on several drainages in the Animas Valley and discovered that the areas around Tripp Creek, Dyke Canyon, Bell Canyon and Hermosa Creek showed the highest likelihood to produce debris flow during rain storms. But these things are not necessarily foolproof to predict, and we have seen heavy debris flow from other drainages throughout the second half of July, prompting evacuation of the KOA campground on County Road 250, damaging the train tracks and stranding passengers on the Durango & Silverton Narrow Gauge Railroad, and causing extensive damage to homes and properties. This is amplified by the fact that the amount of time it takes for fire-charred soil and debris to move down a drainage after an inch of rain is about half that it would be in normal, pre-fire circumstances. With very little advanced warning, voluminous materials are moving through drainages, across roads and onto private property. The stress and anxiety these floods trigger for those in their path are significant and we do everything we can as a county to keep you all informed of any impending risk, and ensure your safety during flood, mud and debris flows. La Plata County Office of Emergency Management and the Sheriff’s Office are working closely with the Durango Fire Protection District and La Plata County Search and Rescue to monitor radar for incoming rain storms and track rainfall at gauges placed above key drainages in the 416 Fire burn scar. This team issues evacuations, assists residents and visitors in leaving at-risk areas, and coordinates with other state and county agencies to clear roads and provide transportation and shelter for those affected by mud, debris and flooding. We have also compiled a list of resources for property owners and the community to use to prepare for and respond to mud and debris flows after the 416 Fire: https://bit.ly/2Mgp7vz. Included in this list – and one we strongly encourage folks to look into – is how to go about acquiring flood insurance through an insurance agent who participates in the National Flood Insurance Program. Flood insurance typically has a 30-day waiting period before policies take effect, but that provision is suspended during flooding that is a result of wildfire. However, you must purchase flood insurance within 60 days of a fire’s containment, which for the 416 Fire was July 31. Finally, the county is working with the Natural Resources Conservation Service to connect property owners with direct assistance for flood mitigation and recovery through the agency’s Emergency Watershed Protection program. We will be sending out more information about this in the coming weeks, but the NRCS team has been assessing damage and identifying potential projects that the service, working with property owners, can take on to address problem areas below the 416 Fire burn scar. We are hopeful these resources will be available quickly and will share details as they emerge. The 416 Fire is now contained, but its effects will remain with our community for years to come. As a county, we are committed to keeping our residents and visitors safe and informed as various post-fire effects transpire. 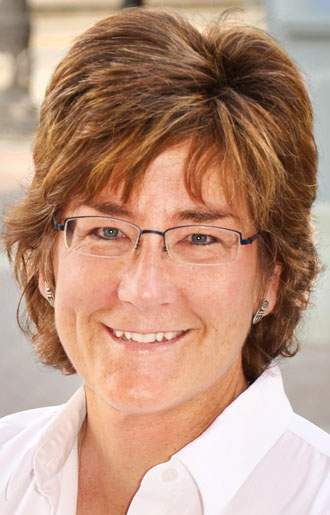 Gwen Lachelt is chairwoman of the La Plata County Board of County Commissioners. Reach her at 382-6219.